A day spent on the beach or relaxing in the water is a good day spent in Key West. However, sometimes you want to experience the magic of the underwater world a little closer. There are many options in Key West for those wanting to get up close and personal with their undersea surroundings. Regardless of whether you're into snorkeling Key West or taking a scuba dive, Key West has every underwater adventure you could ask for. When looking to dive Key West or go snorkeling in Key West, you need to know the various safety rules and regulations that correspond to your trip. The more you know before you book, the more you will fully enjoy your experience snorkeling in Key West or taking a scuba dive. Key West is home to many great adventures and this article looks at three undersea adventures for swimmers of varying skill ideas for those who are certified and ready for a scuba dive and for those who are novice swimmers interested in snorkeling in Key West. If you like to scuba dive, Key West is your kind of town if you are certified. In order to go on a scuba dive, Key West visitors and residents must be a certified scuba diver and have had at least one dive within the past 3 years. However, some scuba diving expeditions require a shorter lapse from diving. 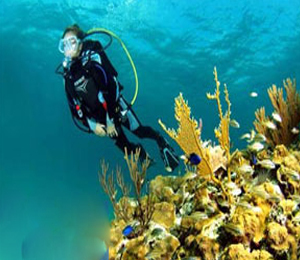 If you are certified for a scuba dive, Key West offers you so many places to go. From the living reefs just off the shore to other remote havens in the ocean, a scuba dive Key West style will give you a whole new perspective. Tropical flora and fauna you have probably never seen before will appear before you under the sea. It is an amazing way to spend any morning or afternoon in Key West. Because you need no prior experience to enjoy it, snorkeling in Key West is a wonderful family activity. Children and swimmers of all skill levels can enjoy snorkeling in Key West and its living reef. Need more help finding Key West attractions? From scuba diving in Key West, to Key West inns to booking Key West tours, we have the resources and connections to make your stay in the US's southern most city fun without breaking the bank. Not staying in Key West? We can help you find vacations in many other exotic locations. From fishing in Cabo to swimming with dolphins in Bahamas, Best on Key West is here to help.